Catharine studied Music at the University of Durham, Vocal Performance at Trinity Laban and at the Alexander Gibson Opera School at The Royal Conservatoire of Scotland. She has worked at English National Opera, Scottish Opera, the Aix-en-Provence Festival and many other prestigious companies and festivals. Career highlights include a documentary for the Open University - Future Diva, and performing at Buckingham Palace for the Queen’s Coronation Festival in 2014. In 2017 she appeared in comedy series “Taskmaster” on Dave & also demonstrated the function of the vocal tract by singing Puccini in an MRI scanner for the Royal Institution Christmas Lectures. In January 2018 she performed excerpts of Madama Butterfly as a featured artist in ITV drama “Next Of Kin”. Her opera roles include Mimi La Boheme (Regent’s Opera), Donna Elvira Don Giovanni (Diva Opera UK), Alice Ford Falstaff (Fulham Opera), Edna Tobias & The Angel and Sarah Clemency (both Highbury Opera Theatre), most recently she covered Aksinya Lady Macbeth of Mtsensk for the Royal Opera, Covent Garden. She currently lives in Germany, and will be returning to the UK to perform Elisabetta Don Carlo for Fulham Opera in November. Aeris Brass was formed in 2015. All members are based in London but regularly perform internationally. They have completed many tours and concerts across the UK, often in Scotland. They have recorded and performed with internationally renowned soloists Carol Jarvis, Rick Taylor, Mike Lovatt, Rex Richardson, Emily White, and John Kenny. 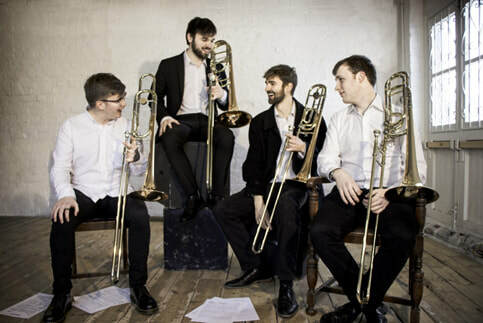 With a desire to extend repertoire and to tailor the music they play, members of the group are keen to arrange music for the set up of four trombones, ranging from classical, orchestral, folk and jazz. We have also been active in having new pieces written for us, with Peter Longworth and David Swan having written two substantial pieces for the group. Summer 2018 was exciting for the group with a tour of five concerts (Edinburgh, Arran, Skye, Elgin and London) and the San Marino New music festival with concerts of Vinko Globokar and John Kenny, as well as a 6am sunrise concert. This was followed by a project "Beautiful Bones" in Glasgow as part of the Merchant city festival in collaboration with Pandoras box trombone ensemble and Surge Theatre Scotland. Ian Sankey studied trombone with John Kenny at St Mary’s Music School in Edinburgh before moving to London and continuing his studies with Eric Crees, Simon Wills, Emily White and John Kenny at the Guildhall School of Music And Drama. As a soloist, Ian came 2nd in the British Trombone Society Ian Bousfield competition in 2017, as well as being awarded Runner Up in the International Trombone Association Alto trombone competition 2017. As an orchestral player, Ian has worked with the Oxford Philharmonic and the Orchestra of the Royal Opera House. As a sackbut player, Ian was delighted to play with His Majestys Sagbutts and Cornetts as part of their 35th Birthday Concert in St. Johns Smith Square. With a love of chamber music, Ian is part of Elysium Brass, Winners of the June Emerson Launchpad Prize, as well as being a member of Aeris Brass. Having graduated from Guildhall with First Class Honours, Ian now lives and works in London enjoying the variety of freelance life. Eugenie Vronskaya is a Russian born artist, currently living and working in London and Scotland. A Graduate of Moscow Fine Art University, Eugenie completed a second MA at the Royal College of Art in London. Currently represented by John Martin Gallery in London, she works with imagery inspired by her surroundings and personal experiences, striving to express an emotional response rather then illustrative aspects of depicted scenes. Her work is in many private and national collections. For more information, visit www.vronskaya.co.uk. Misha was born in Ukraine, educated at specialist music school in Kiev and later at The Royal Academy in London after coming to England in 1991. Since teaching the violin in Oxford, his playing career combines orchestral (formerly BBC Scottish, City of Oxford, latterly Bristol Ensemble and others in the Southwest) and chamber music, and an increasing affinity with Early Music and music’s origins. Hence the viol. Like Peter and Liz, Misha met Jacqui a long time ago, and is now delighted to discover that he shares with her some of the secrets of viol passion! 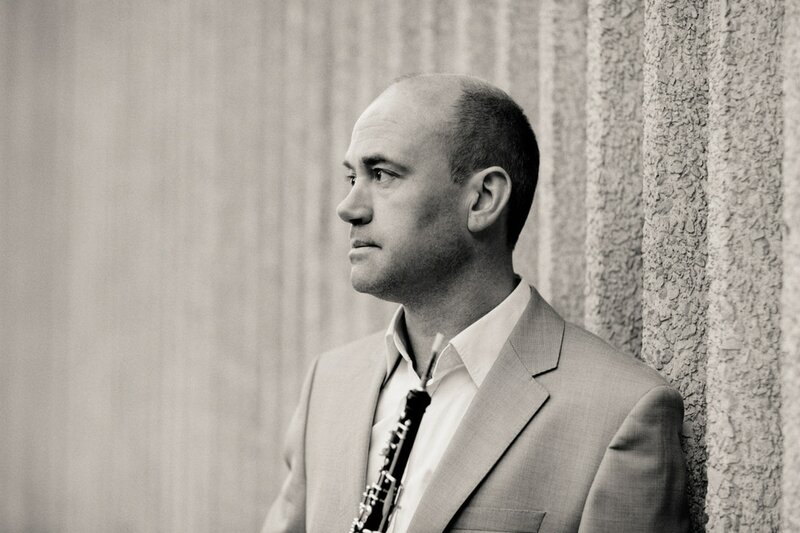 Oboe Alun enjoys a varied career combining solo, chamber and orchestral playing. Following lessons with Christopher Cowie and Sidney Sutcliffe he won a scholarship to study with Michael Winfield at the Royal College of Music. At the Royal College he won the Joy Boughton Memorial Prize before continuing his studies at the Freiburg Hochschule fur Musik with Heinz Holliger. Alun is principal oboe with Glyndebourne on Tour and has played guest principal with many of the country’s leading orchestras including the Philharmonia, London Philharmonic, Royal Philharmonic, Academy of St Martin in the fields, London Mozart Players and the Orchestra of the Royal Opera House. As a soloist, he has been featured several times on BBC Radio 3 and performed concertos with the London Festival Orchestra, Northern Chamber Orchestra and Brighton Philharmonic. He also performs regularly with the Adderbury Ensemble with whom he has recorded concertos by Albinoni and Marcello and the Mozart Oboe Quartet. Other recordings include Robert Saxton’s ‘Arias’ with John Mcabe ( piano) and a recent recording of chamber music for oboe and strings by Hilary Tan. Alun has performed with chamber ensembles at the Wigmore Hall, Purcell Room and Bridgewater Hall and as a member of the Marais Ensemble he appears annually at the Potton Festival. Other festival appearances include Corbridge, Alfriston, St Endellion and Cádiz. accomplice from Oxford High School, and invited to study in N Italy, where she began her playing career after reading music at Manchester. After travelling in Europe her repertoire expanded to accommodate folk and gypsy styles (and instruments). Liz has played in various adventurous groups (Orbestra, Jubovski, The Conference of Birds) enabling her to develop her performing style. She escaped to Cornwall for a decade to catch a breath of sea air and take up the viola before returning to Oxfordshire. Liz loves all music promoting freedom of expression. Jane was Principal Cello/founder member with “Guildhall Strings”. Winning the International Jeunesses Musicales Competion in Belgrade - 1982 and going on to make their Carnegie Hall debut in 1991. They toured the USA and Europe, recorded for RCA records and regularly broadcast for the BBC. Jane’s work has a broad spectrum ranging from The Chamber Orchestra of Europe to working with Madonna. Some of the highlights have been Coaching and Teaching for Pro-Corda/England and Orchestra Joven, Cadiz Spain, Projects with Ballet Rambert, Principle Cello/Continuo with Glyndebourne Touring Opera working under Emmanuelle Haim in Handel’s Theodora and many memorable years of Garsington Opera. Jane has been guest artist with; The Composers Ensemble, The Balanescu Quartet, The Emperor Quartet and The Allegri Quartet. She is a regular performer at the Chamber music series "Oxford Coffee Concerts" at the Holywell, Oxford. Jenn’s musical inspiration came largely from her Dad - with a surname like Raven they both could only imagine playing a birdlike instrument such as the flute. This later led to Jenn becoming a member of Peter Cowdrey’s Conference of Birds. Jenn studied at the University of Bristol and Trinity Laban Conservatoire of Music and Dance. Since then she has played and recorded in some weird and wonderful places: the Brazilian rainforest, alongside a didgeridoo player, in the sea and up a tree. Ben’s musical inspiration for playing the trumpet came largely from his Grandpa, Peter Reeve, who was a trumpeter at the Royal Opera House, professor at the Royal College of Music and one of the founding members of the Philip Jones Brass Ensemble. Ben was a member of the National Youth Orchestra of Great Britain and trained at the Guildhall School of Music and Drama. One of his most special memories is playing as part of a giant samba band (painted all in gold) for the London Olympics closing ceremony. Jub has worked in avant-garde theatre with Station House Opera, been a member of the Indie pop group The Band of Holy Joy, as well as working with the English National Opera and the London Chamber Orchestra. He also co-founded the prize winning Kreisler String Orchestra. He has been a longstanding member of the Carnival Band, often appearing with them and Maddy Prior. See his guest blog here. 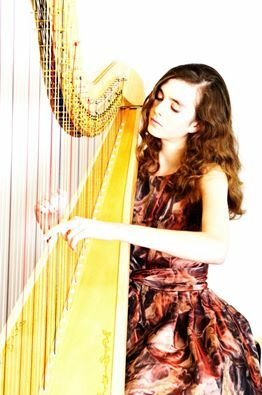 Imogen, 19, studies harp with Miriam Keogh, Head of harp at The Junior Royal Academy of Music and has been awarded a Foundation Scholarship to study harp with Ieuan Jones at The Royal College of Music in September 2016. She won the JRAM Prize for "Harp, Guitar and Harpsichord" and is principle of the JRAM Symphony Orchestra. She is an Aldeburgh Young Musician alumnus and was awarded a prestigious Ganzoni Bursary by Aldeburgh Music in recognition of her outstanding contribution to their AYM Exchanging World’s Ensemble Programme. Earlier this summer she was selected to attend HarpMasters Academy in Switzerland with young harpists from around the world. At 15 Imogen played the cadenza from the Nutcracker with Suffolk Sinfonia for BBC Radio Suffolk’s “Children in Need Concert” broadcast on Christmas Eve and Christmas Day. Bethany Partridge studied music at Trinity College, Cambridge, where she was a Senior Academic Scholar and a Choral Scholar. Bethany sings with Tenebrae and Polyphony and this year is taking part in a new professional musicianship training programme with the National Youth Choir of Great Britain. As soloist, recent performances include Rossini’s Petite Messe Solenelle (Musicanti, Paris), Mozart’s Exsultate Jubilate, and one-per-part performances of Bach’s St Matthew Passion, St John Passion and the Weihnachts-Oratorium with the Amici Voices, of which she is a founding member. 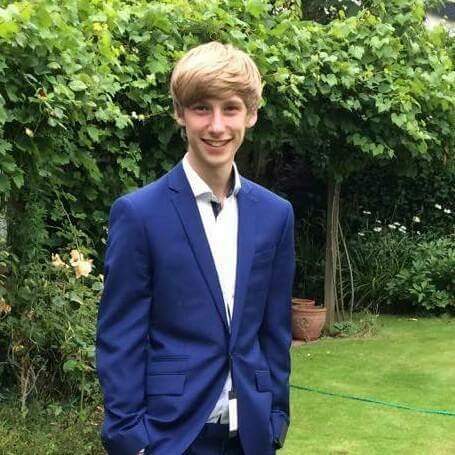 Archie Bott is currently studying for a DPhil at Merton College, Oxford, in plasma physics, having graduated from Trinity College, Cambridge, last year with a masters in applied mathematics. As an undergraduate, he sang with his college choir for three years as a choral scholar. During this period, he went on tours to the USA, Canada and Germany, as well as recording seven CDs. At present he sings with Schola Cantorum of Oxford. Classical Guitarist Alexander Hart is completing his Studies at Royal College of Music, supported by the Douglas and Hilda Scholarship studying under Gary Ryan. Recently praised for his “Very Dynamic performance….full of life and parade” By Mark Ashford, Head of Guitar at Birmingham Conservatoire. Falling in Love with the sound of the Classical Guitar in 2010 having been influenced from a young age by blues and jazz music, Alex is building on concert and competition successes including Basingstoke, Chichester and Ealing Music festivals. As well as performing in diverse chamber and solo projects from the World Premiere of Theatre in the Theresienstadt Ghetto in the Bloomsbury Theatre, guest performer in a rare performance of Romitelli's Professor Bad Trip with Explore Ensemble in RCM's Amaryllis Fleming Concert Hall to three solo appearances with the RCM Film Orchestra. Currently Alex is working on recording music videos featuring Dowland, Bach, Brouwer and Mertz and this year looking forward to travelling to Germany, Italy, Poland and France to take part in Music festivals and Competitions. 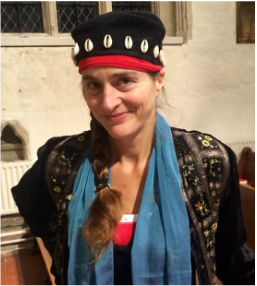 Emily White is professor of Sackbut at the Guildhall School of Music amd Drama. She is a member of The English Cornette and Sackbut Ensemble, whose 14 discs include Classic FM Disc of the month, two Gramophone Early Music Awards and Diapaison D'Or. Emily freelances with the Orchestra of the Age of Enlightenment, The Academy of Ancient Music and The Gabrieli Consort. She also enjoys modern trombone, is a member of Chaconne Brass and the contemporary performance trio Pandora's Box. She founded and co-directs Huntly Summer School, and coaches at the Royal Welsh College of Music and Drama. Robert Forbes studied singing in Australia at the Melbourne University Conservatorium of Music and then at the Opera School of the Birmingham Conservatoire where he won the St Clair Barfield award for excellence in performance. He worked with opera companies in France, Germany, Holland, Switzerland and Israel. Robert taught singing at the Birmingham Junior Conservatoire, was Head of Singing at the Birmingham School of Speech and Drama, and the Guildford School of Acting. Sarah Haigh studied at Birmingham Conservatoire, and, as a post-graduate, at the Royal Academy of Music, leaving with a Dip.RAM. She won both the Mario Lanza Opera Prize and the Reginald Vincent Lieder Prize. She represented Britain in the Dutch International Vocal Competition in ‘s-Hertogenbosch. In her spare time she navigates on historic car rallies in Europe. Rebecca Reed began singing at the age of 8. She was awarded Vocalist of the Year 2009 at the Royal Welsh College of Music and Drama Junior Programme. Her opera debut came in the same year, when she sang the Principal role in the original work, ‘The Flooding of the Plains of Gwelod’. Rebecca graduated from TrinityLaban Conservatoire of Music and Dance in 2013, and now provides private tuition in vocal and piano studies in Witney.